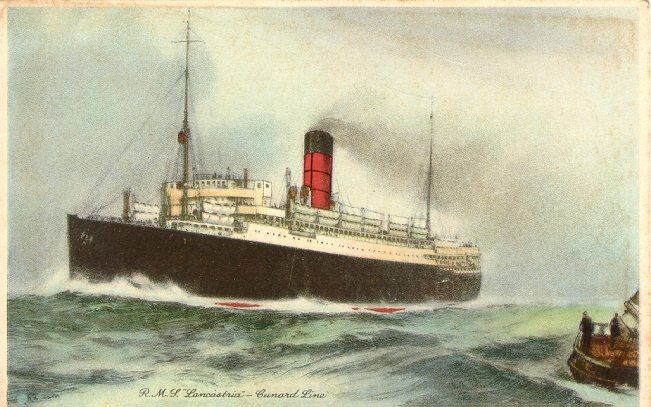 Originally named Tyrrhenia, Lancastria was the sister of Cameronia (II) of the Anchor Line, which Cunard owned from 1911 until 1935. Built by Wm. Beardmore & Co. of Glasgow, Tyrrhenia was launched in 1920 and made her maiden voyage, Glasgow-Québec-Montréal, on 13 June 1922. 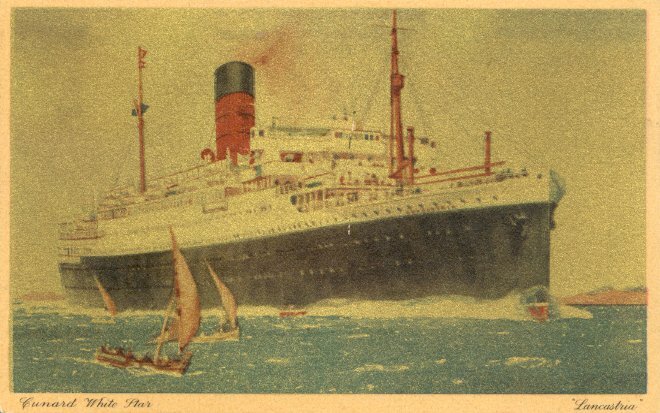 She then ran from Liverpool to Canada, Boston or New York until placed on the Hamburg-New York route in 1923. 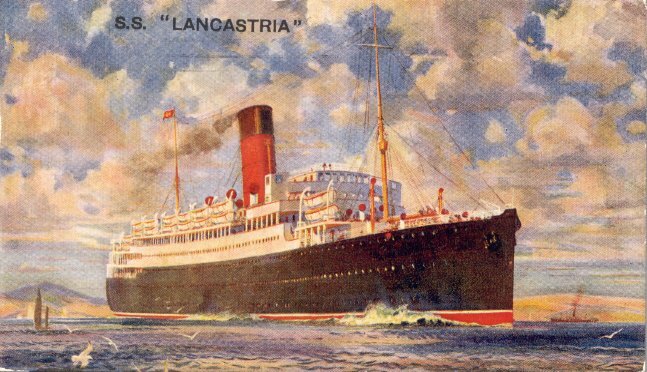 Refitted and renamed Lancastria during the winter of 1923-24, she then served New York from Liverpool, Southampton or London until 1932, after which Lancastria was used mostly for cruising. Requisitioned for use as a troopship in 1940, Lancastria was bombed and sunk at St. Nazaire on 17 June 1940, during the evacuation of France. As many as 9,000 people (mostly British troops) were on board. At least 3,000 (and perhaps as many as 5,000) died in the costliest British merchant ship loss of the war.